Welcome! 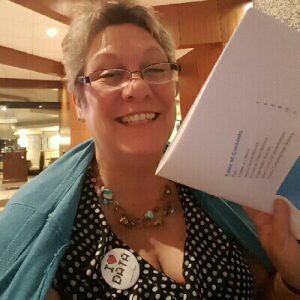 I’m Elaine Eisenbeisz (pronounced “I-SEN-BUYS”, but just call me Elaine), owner of Omega Statistics and I’ve been helping ABD’s become Ph.D’s since 2006. Omega Statistics is the preeminent provider of personalized dissertation assistance. From hourly consultation, to fully written chapters in APA format, I can assist with what you need, from where you are. I can’t actually hold your hand during the process, but the comfort of having the help of a knowledgeable statistician to support your research will make you feel like I do! Please review the current fee schedule to get an idea of the services and fees offered for dissertation assistance. Then complete the form to the right or follow the instructions on the Process page to submit your draft for my review. Or, if you’d rather, just give me a call during business hours at 877-461-7226. I’m happy to discuss your research and current needs for assistance! I understand that not all research requires the same amount of work and time. Therefore, I offer a 30 minute initial project evaluation and discussion with you by telephone at no charge. I’ll do my best to provide an exact fee for your project before we begin so that you know exactly what to expect and how much it will cost. Please read below for more information on the “whys” and “hows” to receive help. And near the bottom of the page are a couple of links to client dissertations for you to review. Feel free to review the testimonials of some of my “statisfied” clients too!. Contact Elaine to Schedule a FREE Initial Review & Consultation! I LOVE data and helping ABD’s become Ph.D.’s! Many prospective clients ask if it is ethical or “legal” to hire a dissertation coach or statistician. It is, as long as you participate in the process (Don’t buy a dissertation that you didn’t work on!). Please read this blog post by my colleague Dr. Kathleen Cannon at DissEdit.com for more information about the legal-ness of receiving help in your dissertation journey. And ask your advisor too! I’ve helped hundreds of ABD students become Ph.D.’s over the last 10+ years, so there are quite a few dissertations acknowledging me online. Google “Elaine Eisenbeisz” or “Elaine Bellucci” (my name before I married) and you can discover a lot about me and what I do! You can also type my name into the search bar on ProQuest to be directed to many more dissertations I’ve been happy to help with. Many of my clients were referred to me by their committees. But nonetheless, I keep all work confidential. Omega Statistics is a small company with a big vision. Omega Statistics sets the gold standard in study design and data analysis, and I’m proud of our high success rate in assisting our clients in achieving their goals. My dedicated and personalized client service is legendary in the statistics field. I’m the friendliest statistician you will ever meet! I can’t promise a thoroughly enjoyable dissertation experience, but I can promise that having a consulting statistician will be of great benefit to your research AND your sanity. I am accessible. Omega Statistics makes use of the latest in technology to serve clients from across the United States as well as globally. You can call me and talk to me personally. I am also available by email of course. If you are in the Murrieta, CA area I would be happy to meet with you personally. However, with the technology available to us, there is no need to be close by to receive assistance. I have extensive knowledge of most statistical software programs including SPSS, SAS, R, STATA, LISREL, HLM, M-PLUS, Minitab, and many more! We are skilled in APA, AMA, MLA, CBE, CGOS, and many other writing style formats (Even those without acronyms, such as Harvard and Chicago/Turabian), and I will work within the formatting guidelines set by you and your university. If you need extensive editing for your dissertation reporting, I work with some excellent folks! Just give me a call or send me an email and I’ll be happy to send you a list of my preferred editors. Your work remains yours. I set strict rules for confidentiality of my clients’ research, and will gladly provide or sign a non-disclosure agreement before review of your research if you so desire. Omega Statistics is NOT a dissertation mill and all design and analysis services are tailored to your individual project. You will learn! I have a great passion for the discipline of statistics and love to share my knowledge. And I am able to explain the theory and application of statistics in a way that people understand. I will not just give you a report, we will collaborate. I provide unlimited consulting on most projects, as well as any needed edits to the statistical aspects of your project, so you will be able to present your dissertation proposal and/or dissertation Results chapter with confidence! I offer different levels of services, from an all inclusive flat fee for a full service (research of the literature, study design, data preparation, analysis, a full written reporting in APA format and unlimited statistician consulting) – to an hourly rate of $100 per hour. Want just the analysis and quick consulting? I can do that too. I will discuss your study and what I can offer with you, so you will have an idea of the services you will receive and the total cost up front before work begins. Reputation? Omega Statistics is a leader in statistical design and analysis in all disciplines of research. I personally have over 30 years of experience as a statistician and my name is golden in the statistical field. And, Omega Statistics holds an A+ rating with the Better Business Bureau. Google Elaine Eisenbeisz or Omega Statistics and see for yourself! References? Just ask and you will receive. Omega Statistics has hundreds of “satisfied” clients who would love to tell you about me and my stellar services. It is So Easy to Get the Help You Need! Please visit the Process page to view the steps for submitting your request for services and the process for project completion. Or if you’d rather, send me an email at [email protected] or give me a call toll free at 877-461-7226. I’d love to hear about your research! And don’t forget to sign up for the “Stats for the Masses” newsletter to keep up to date with the latest news and happenings at Omega Statistics! We accept payment via personal check, credit card, or Paypal.